I was so excited to get this from Amazon. Sadly for some reason amazon sent a different set through first (looks nothing like this set they sent the eyes starter set). It was a super bargain at £11.97 on Amazon (I watch the sets religiously for price drops). 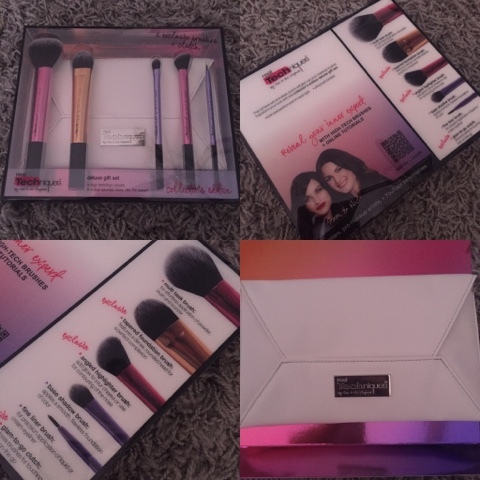 Make up brush sets are a massive love of mine, I have so many and I love how each can create a great and different effect for your make up and especially how each set performs. I love the little purse I probably will never use it for makeup brushes, but it's great for taking on nights out (those things I used to do around 4 years ago pre baby). So in this kit you get 5 brushes and a mini purse. 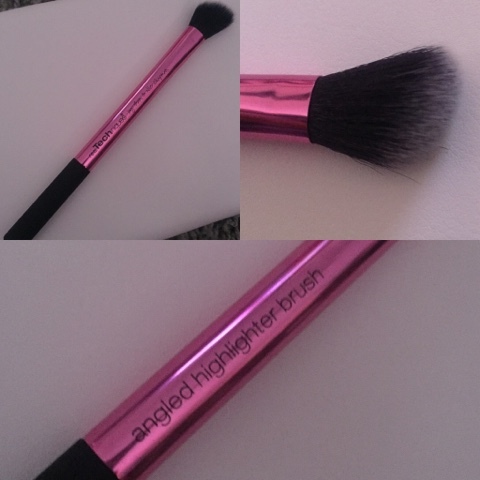 This is a pink brush and it has it written on it which is great for beginners, because makeup can be very confusing and a bit of a ball ach to be honest when your faced with many brushes and products. 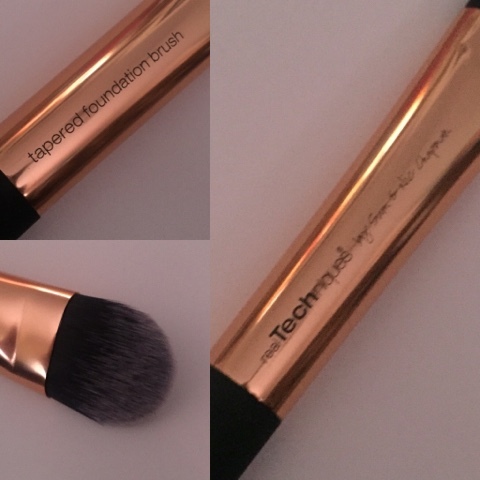 This brushes main propose is for applying bronzer (must have its summer after all), powder and blusher. It's a puffy brush which will give a great sweep. I literally cannot wait to use it tomorrow. This is a gold brush is the collection. I like these as more as a starter to foundation application. I always finish with a sponge application. They apply fantastic to begin with but can streak and the sponge gives me a flawless finish again I use the real techniques sponge. This is aimed at contouring or for blusher and briber for the cheeks. I like the way this gives me the blusher look for my face. It's slanted and gives a soft look. 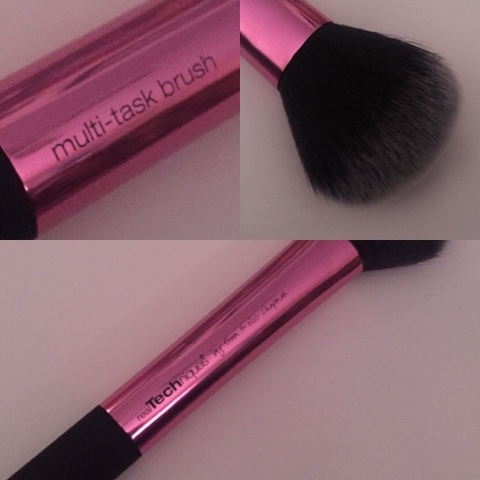 Another pink brush in the set and states on the brush what you use it for like the others. 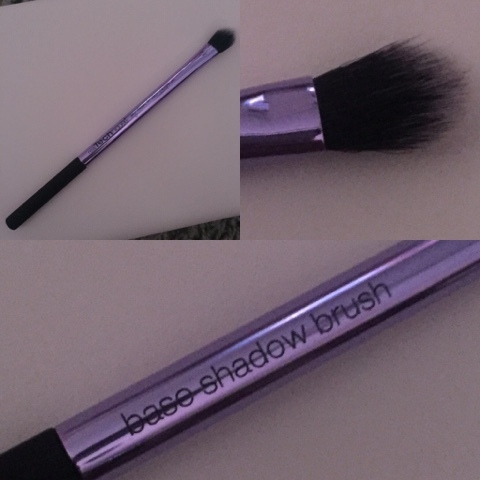 A must for every woman it is something you can use to ensure you have a good base of your eyeshadow. And you can use it for other colours and shadows if this is your only brush. 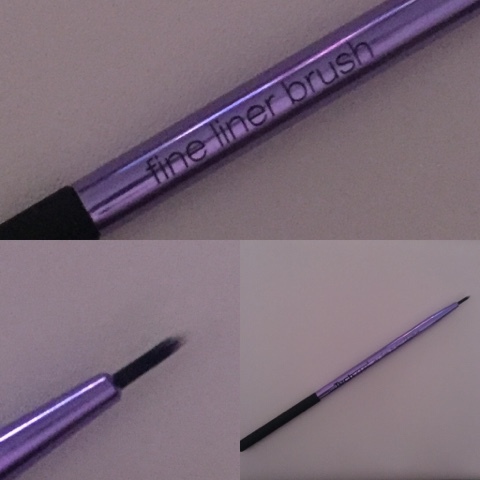 A complete must have for anyone who loves liquid liner in a pot. It will give you an immaculate Finnish after around 100 or so attempts however I will never go back to liner with its own brush. Ok so pleased I finally gave this. It's been on my list for around 8 months and at that price it's a steel. Amazon and their prices are always a gamble and change daily. So keep checking. Best product and treat so far and I love it. So excited to use it. Do you have it? How have you found it? 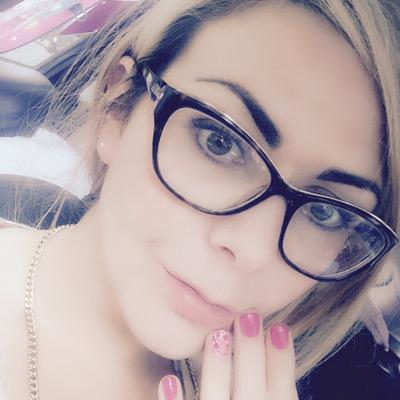 Let me know I can't wait to hear how you have gotten on. Love from my home to yours and always find your silver lining.